Doors open at 7pm. Additional fees may be charged by some credit cards & banks which may result in the amount you see on your card bill being higher than the amount charged. Please check with your vendor as these are not imposed by Ticketflap. 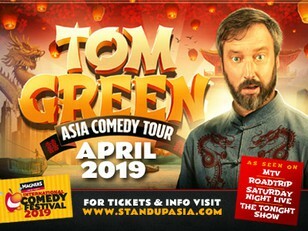 TOM GREEN, acclaimed comedian, actor, filmmaker, and talk show host, found mainstream prominence via his influential and outrageous MTV television series, The Tom Green Show. Before reality TV, YouTube, and social media existed, GREEN’s comedy changed television conventions forever by blurring the lines between pranks and performance art. His success landed him roles in mainstream Hollywood movies, such as Freddy Got Fingered, Road Trip, Charlie’s Angels, and Stealing Harvard. He has graced the cover of Rolling Stone, hosted Saturday Night Live, guest-hosted Late Show with David Letterman, and appeared on Oprah, Jay Leno, Conan O’Brien, Jimmy Kimmel, Jimmy Fallon, the Daily Show, and Comedy Central. 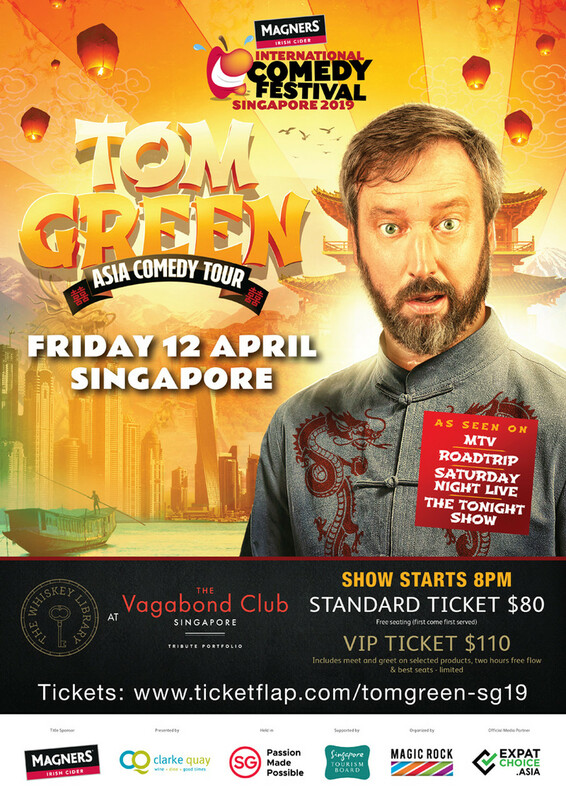 Now, GREEN has made an enthusiastic return to his stand-up comedy roots, receiving 5-star reviews worldwide. The material in his current tour is the strongest of his career, adding more personal elements and underlying tenderness to the prank, man-on-the-street, visually surreal comedy he’s famous for. Don’t miss your chance to see this brilliant comedian take the Singapore stage. Your only disappointment will be when the show ends.